Many larger Wineries have created facilities to host Banquets. Winery Banquet Facilities are designed for a multitude of uses including Weddings, Corporate events, large private parties or fundraising activities. To be considered a Winery Banquet Facility by Winery-Sage.com, the Winery must have sufficient space and furniture to allow for seating for at least 50 people in a single location. Many have full kitchens, menus from which various types of meals can be chosen but this is not a requirement because many of the Winery Banquet Facilities have relationships with caterers or restaurants that can supply all the consumables that are needed (except wine of course). If you are looking for a Winery Banquet Facility, insure that you have listed all of your requirements so that you can insure that you have a Winery with the right type of facilities and as importantly, commitment to helping you make your event a success. 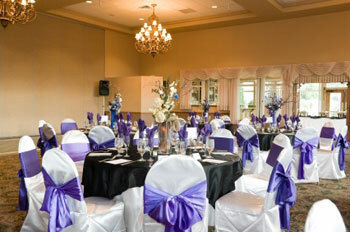 For a list of Winery Banquet Facilities click on the button below.